FOOD and NUTRITION matter for children with autism. Nourishing Hope for Autism explains WHY and HOW. Readers will understand the connection between certain foods, the digestive system, and the influences on the child’s brain. 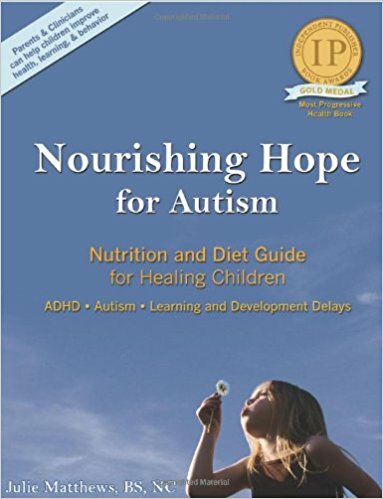 Parents and autism physicians around the world are using Nourishing Hope for Autism to guide their nutrition/diet focused interventions that help bring about real recovery results—improvement in cognitive ability, physical pain, digestive problems, rashes, speech, eye contact and aggression.